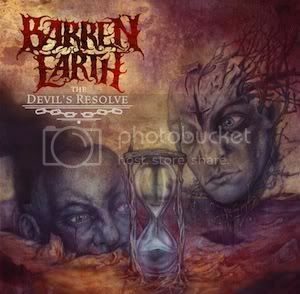 Finland’s progressive death metal band BARREN EARTH recently announced that their sophomore full-length, The Devil’s Resolve, will hit stores in North America on March 13th via Peaceville Records. The Devil’s Resolve will be released on CD and vinyl, with artwork provided by notable US-based artist Paul Romano (MASTODON). 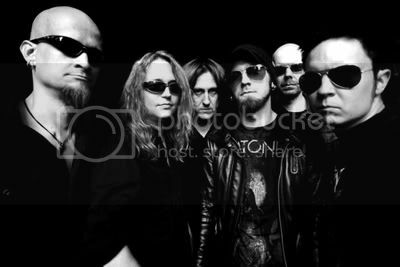 An update from Barren Earth states: "There has been conflicting information about the new album's tracklist and the number and destination of bonus tracks. The fact of the matter is that the album will include 8 songs, not 9. The list of 9 tracks, as exemplified in the Record Shop X ad (here), is based on the original version of the album the way it was planned last autumn. It was later agreed, however, that the song order would be altered, and that one song, The Passage Unfolds, would be omitted. This has now happened, and the new 8-track list is out in the world. Unfortunately, also the 9-track list seems to persist. Do not take heed of this! Also in the pipeline is a special edition of the album with 2 bonus tracks: 'Martyrs Of Devotion' and 'World In Haze'. The fate of 'The Passage Unfolds' is as of yet unclear, but it will probably also surface in one form or another at some point." The Devil’s Resolve can be pre-ordered now through the Peaceville Records webstore as a special edition CD, complete with two bonus tracks and slipcase cover, or on limited edition vinyl. Mixed by Dan Swanö (OPETH, KATATONIA) at Unisound, The Devil’s Resolve continues with all the trademarks one has come to associate with Barren Earth: brutal riffs, gloomy growls, majestic melodies, as well as acoustic and progressive passages. But this time the band has delved even deeper, taking this sophomore effort to the extremes through musical landscapes encompassing brutal death metal, doomy vocals, trippy 70’s prog lunacy, pastoral passages and even bagpipes. 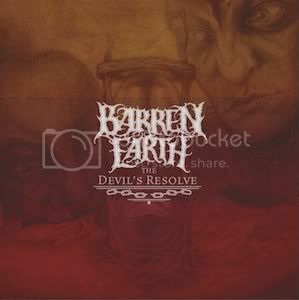 Stay tuned to the official Barren Earth Facebook page for more information on Barren Earth and The Devil's Resolve. And keep your eyes peeled for the new music video for the track, 'The Rains Begin'.